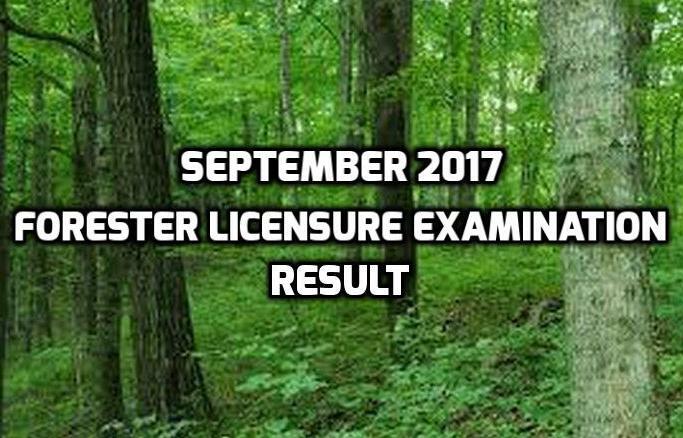 The Professional Regulation Commission (PRC) already released the list of passers for the September 2017 Forester Licensure Examination Results after two working days of the final scheduled board exam. According to the commission, 1,482 took the examination and 721 passed successfully. 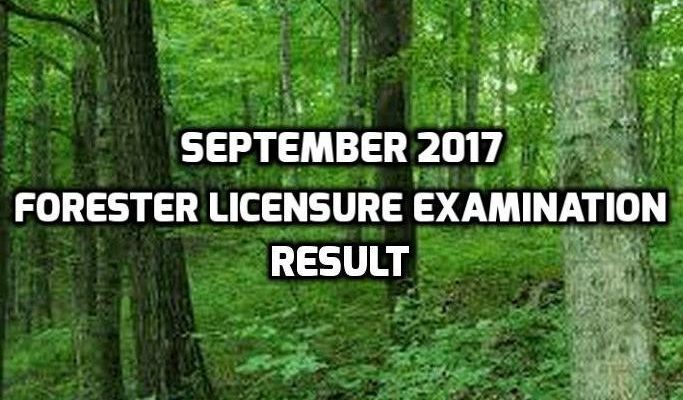 The board examination took place in Cagayan de Oro City, Cebu City, Davao City, Iloilo City, Legazpi City, Lucena City, Manila, Pagadian City and in Zamboanga City last September 12-13, 2017. 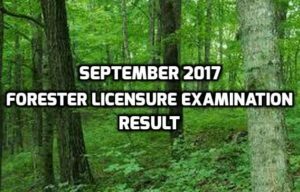 The Board of Foresters frtom the PRC administered the examinations headed by Monina T. Uriarte (chairman of the board), Jose A. Lorenzo as well as Gerardo T. Cabreros (board members).